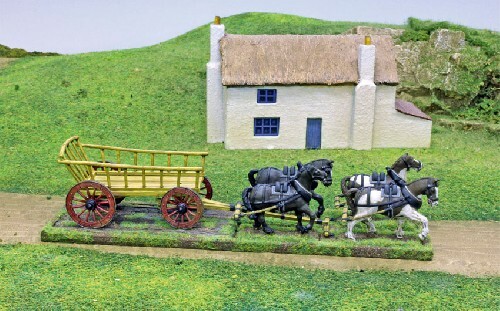 Our waggons are based on Dutch Waggons hired/ comandeered by the British Army in 1799, as illustrated by D. Langendijik. For anyone not a member of Barry Hilton's "Fashion Police" they are generic waggons from approximately Landsknects to Landsers. (Thats Renaissance till Wold War II). This is a metal kit for 28mm sized figures, supplied unbuilt and un painted. Glue is required to assemble it.